With the advent of digital technology, it has become technically necessary for the companies to focus on the customer service and deliver the best solution with integrated electronics, sensors and devices. SETIO Singapore and ACE Corporation take the lead to launch CETIAsia 2016 that is going to be held at SingExpo, Singapore from November 30 to December 2, 2016. CETI Asia 2016 has been named as a tribute to the customer, electronics, technology and innovation. They are the main focus of this technology conference and exhibition. Besides focusing on IOT Technology, SMART home, SMART office concept products as well as services, this conference and exhibition has been dedicated to electronics i.e. electronic devices and software that are important means for advancement in technology and innovation. If electronics is one side of the coin of the focus, another side has technology and innovation on it meaning technology related products & services as well as daily life changing innovation are also the prime focus of this conference and exhibition. This 3 day long exhibition & 2 day technology conference is estimated to have more than 100 companies and 5000 visitors from 20 countries. On 30 Nov 2016, the 21st World Electronics Forum will be held with various global electronics trade associations presenting on the market trend or selected topics of future technology related to electronics and related industries. 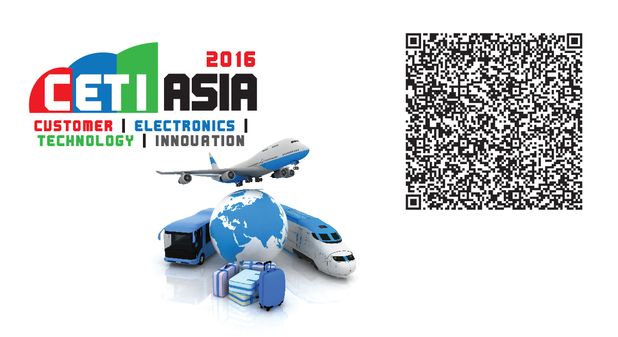 Recognized as one of the best Technology Conferences and Events, CETIAsia 2016 takes pride in having partners like China Electronics Chamber of Commerce, Consumer Technology Association, Taiwan Electrical and Electronic Manufacturer Association, Japan Electronica and IT Association, Communications and Information Network Association of Japan, Exhibitions India Group, The Hong Kong Electronic Industries Association, Thailand Electrical and Electronics Institute and many more. Recognized as the inaugural premier event for customers and industry technology, CETI Asia 2016 caters to the need of having a platform to showcase the latest products and technologies to customer needs and industry requirement. It is also The Venue where business collaboration, MOU, MOA, business opportunities will be ink. One of the key feature in this event is Transportation Technology showcase which represent the various components of technology and innovation in a complete package like advanced electronics, advanced materials, alternative energy, advanced software, green and sustainable environment, sensors, big data, 3D printing, robotics, automation, etc. The 2-day technology conference would have many prominent speakers just talking about the future and how their innovations will shape the world. Some of the interesting topics like future of robotics, IOT, SMAT, latest in 3D printing materials for the high end industry will be presented. To make our event very uniquely Singapore, we have also an Networking Dinner on 1st Dec at Garden by the Bay (Flower Dome) where you can view the night sky and also some of the iconic landscape plus of course Singapore food. The program is all set to open with the greetings of Mr. Alan Hia, President, Supporting Electronics, Technology & Industry Organisation (Singapore) or aka SETIO. CETI Asia 2016, a premier event designed to showcase the technology and innovation in the electronic and related industry technology, is to be held at SingExpo, Singapore. Catering to the need of knowing more about the new technology and innovation in the electronic and related industry technology, CETI Asia 2016 attracts people from home and abroad. Next articleWhat Are The Common Mistakes Behind Social Media Strategies By Businesses?